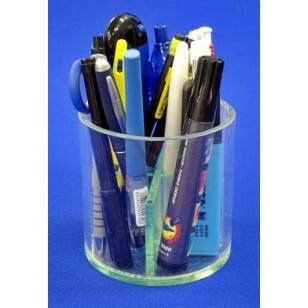 This pen holder is great way to keep your workspace tidy, having a cross divider that creates 4 sections. Made with silicone base and dividers giving the clear tube a glass effect. We can manufacture items like this to order in many shapes and sizes using various acrylics.